When the iPhone 4 was released there were fan boys galore. Photo shoots done completely on the iPhone, iPhone music videos, and iPhone short films. More new gear was released such as the OWLE, microphone add-ons for making it a cool portable audio recorder, and iPhone Handheld Steadicam Stabilizer like the Hague. There's no doubt that there will be new gear developed in the near future to support the ever growing features of this gadget. 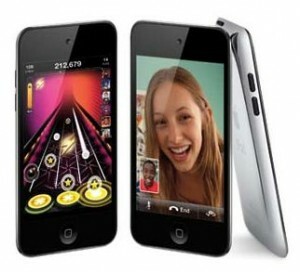 For those who envied the iPhone 4 with HD video recording in a tiny portable device, Apple's new iPod touch (4th Generation) NEWEST MODEL comes with HD Video recording capabilities, a new high resolution lcd touch screen, and video conferencing over WiFi. This should also come with some type of iMovie for iPod video editing software. A cool little device without the contracts and service fees. Should be shipping in the next 3 weeks, available from the Apple store [via Amazon]. Posted in DSLR Audio, Photography Gadgets, Videography Gadgets. 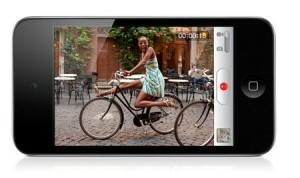 Tags: 4th gen, hd video, ipod touch, video conferencing on September 1, 2010 by Emm. with that being said, I will be purchasing an 8gb. haha maybe apple is finally delivering on some new toys worth the money. now only if they played flash or the other obvious little huccups or limitations. iPhone might be able to do some amazing things, but don't think for a second that someone's gonna book you for a wedding to shoot their photos with that thing. All those features isn't going to make me buy one anytime soon. I hate cellphones as it is and love the idea more of not being able to be reached. after hearing this news, did anyone else think "screw the iPhone 4 and their absurd monthly fee...I'll get a new ipod touch and use skype or google voice to make calls?"